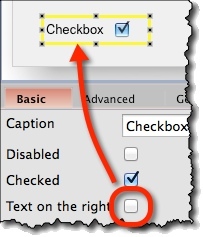 Caption (“Basic” tab) – Text to be displayed as checkbox’ label. 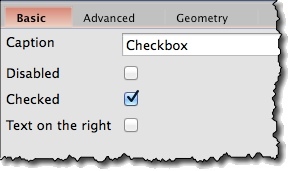 Checked (“Basic” tab) – Whether the checkbox is ticked or not. 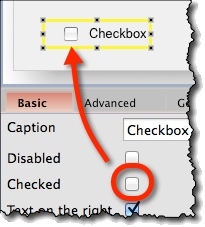 Text on the right (“Basic” tab) – Change whether checkbox’ label is to be displayed on the left or on the right.